RAFAEL Bonachela has been 10 years at the helm of Sydney Dance Company this year, and is bringing his new full length work, “ab [intra]”, to Canberra Playhouse, 7.30pm, August 30 to September 1. Bookings to canberratheatrecentre.com.au or 6275 2700. QUEANBEYAN has been selected to host a regional Australian Poetry Slam heat in a pop-up venue at 146/148 Monaro Street, Queanbeyan, Friday, 6pm-8pm, Friday, August 31. Registrations from 5.30pm. Until October, 50 slam heats are taking place across the nation, leading to eight state finals and one national final in Sydney. The National winner will receive a $10,000 writer’s festival tour. Tobias Cole. Photo by Jaden Leong. 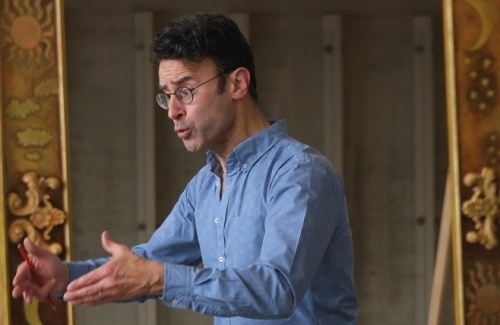 BASED on an episode from the Book of Daniel, Tobias Cole’s Handel in the Theatre is staging “Susanna”. At Canberra Playhouse, from 7.30pm, September 1 and 2pm, Sunday, September 2. Bookings to canberratheatrecentre.com.au or 6275 2700. CANBERRA Symphony Orchestra and the National Portrait Gallery are celebrating Australian history and music with “Reimaginings”, the second Australian Series concert for 2018, focussing on the cello, with cellist Julian Smiles and pianist Bernadette Harvey. At the National Portrait Gallery from 6.30pm, Thursday, August 30. 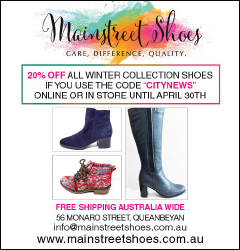 Bookings to cso.org.au or 6262 6772. THE Monaro Folk Society is offering all Canberrans the chance to dance at a free “Come and Try Bush Dancing” class, Albert Hall, from 10.30am to 12pm, Saturday, September 1. No bookings required. CANBERRA Mandolin Orchestra and the Monaro Folk Society will join to stage a grand concert featuring music tracing the history of social dance in Australia from indigenous culture through colonial times, to Federation, the two world wars, music of the post-war migrants to Australia and up to new vogue and pop/rock eras. At Albert Hall, 2.30pm, Saturday, September 1. Bookings to eventbrite.com.au or 0407 431332. 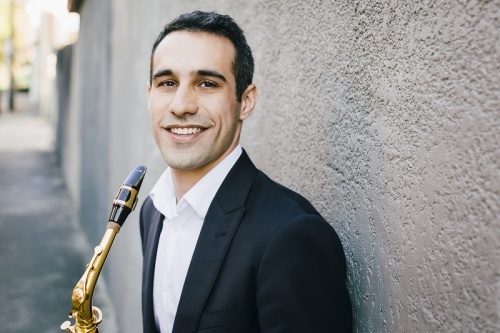 IN the lead-up to the Canberra Symphony Orchestra Llewellyn Hall concert the following week, concert and as part of the CSO recital series, saxophonist Nick Russoniello will perform compositions by Telemann, CPE Bach, Britten, and his own work, including “Fox” (a tribute to Jimi Hendrix) at Wesley Uniting Church, Sunday, September 3. Bookings to CSO.org.au or tickets at the door. CANBERRA born and bred writer Harry Saddler is coming home to launch his his book “The Eastern Curlew”, which has been published by Affirm Press. It describes the extraordinary life of a migratory bird and is already on the best book club reading list for “Readings” in Melbourne. Environmentalist Ian Fraser will begin the launch at Paperchain bookstore in Manuka, 6pm, Thursday, August, 30. All welcome. PHOENIX Pub In Civic has as follows: Piss Weak Karaoke, 9pm, Thursday, August 30; Friday Night Fiesta, Zambezi Sounds and Reggae Rockas, 9pm, Friday, August 31; Neko Pink, Kilroy, Twin Haus, Teen Jesus & The Jean Teasers and Peach Lane, from 9pm, Saturday September 1, with a $10 entry cost. 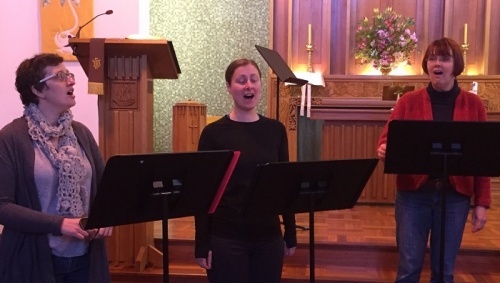 DIRECTED by Robyn Mellor, Polifemy welcomes spring with a program of seasonal songs, both ancient and modern, for unaccompanied women’s voices. “Ecco La Primavera”, which means spring has sprung, will kick off with depictions by English and American composers at Wesley Church, Forrest, 3pm, Saturday, September 1. Tickets at the door. A FILM of Benjamin Britten’s “The Turn of the Screw” will be presented by Colleen Grafton-Green as part of “Opera on Saturdays”. 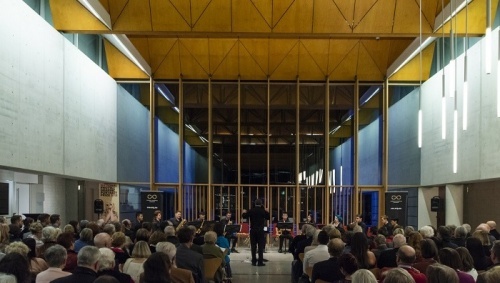 This 1999 production by former Canberran Tom Healey, conducted by Nicolette Fraillon, was one of the most successful achievements of the Canberra School of Music. At Molony Room, 26 Balmain crescent, ANU, 2pm, September 1. Entry is free and refreshments will be served between the two acts. Playing time: 1hr 50 mins. “PRECIPICE” is an annual event now in its 23rd year where participants spend three days in workshops and practising improvised performance. At the end of each day the doors are thrown open to the public to share performances. QL2 Theatre, Gorman arts Centre, 7pm and 9pm, August 31 and September 1, and 3.30pm, September 2. Tickets at the door.